In this section you can find the most frequently asked questions for a better understanding of .LAT. We hope the information presented here is useful to you, and in case of any comments or doubts please send us a message to contact@nic.lat where we will gladly assist you. The questions are divided by topic. If you don’t find the answer to your question(s) or if you need additional assistance, please write us or call us. We value and appreciate your questions and comments. A domain name is a simple form of an Internet address that is formed by a set of easy-to-remember characters (letters, numbers, dash). It is used to easily locate Internet addresses that can be associated to the identity of a person, organization, company, idea, group or any other concept. Where can I register a .LAT domain? It is the person, company, or entity who owns and holds a domain name. It is recommended for it to be the final user of the domain name. Object created to facilitate the administration of a domain name. There are four types of contacts for every domain name: Owner, Administrative, Technical and Billing. Acronym used to refer to the Domain Name System or Domain Name Server. The Domain Name System is a hierarchical distributed naming system for the Internet, which establishes the correspondence between domains and IP addresses and allows us to find the websites or services associated to the domain names. Domain Name Server refers to the computers that are part of the Domain Name System and hold information and processes for the establishment of the connections between domain names and IP Addresses. Where can I check the information for a .LAT domain name that has already been registered? The .LAT Registry counts with a tool named “Whois”, where you can check and review the information of a registered domain name. You can access this tool at the Whois database. The domain name is not property. It is just an electronic registry. The Registrant holds the title of the domain name. How can I change the information of my .LAT domain name? Every Accredited Registrar is responsible for offering the necessary tools to manage every domain name that is under their administration. You should address the Registrar that manages the domain name to know the processes and procedures that you should follow. What can I do if a domain name infringes my trademark rights? What are the IDNs in the .LAT? They are domain names that accept special characters used in other languages or alphabets. The allowed characters for the internationalized domain name registry in the .LAT are the special characters of the Spanish language, which are: Numbers from “0” to “9”, dash “-“, every letter of the Latin American alphabet “a” to “z” and the special characters: á, é, í, ó, ú, ü, ñ. What is a .LAT Accredited Registrar? An accredited registrar is an organization or commercial entity accredited to distribute and offer administration services of .LAT domain names. An identifier assigned to each .LAT Accredited Registrar. Where can I find a list of .LAT Registry Accredited Registrars? You can find the list of every Accredited Registrar and their profiles in theAccredited Registrars section. I cannot get a hold of my Accredited Registrar in regards to my domain names. What can I do? What is the Registry .LAT? 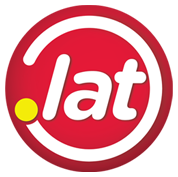 The .LAT Registry, is the organization in charge of the administration of the generic .LAT top level domain. The organization that manages de .LAT is The Latin America and Caribbean Federation for Internet and Electronic Commerce. Their main functions are to manage the domain name database and DNS as well as to perform the accreditation and work with ICANN Accredited Registrars. You may find additional information in our“About Us” section. How can I contact .LAT Registry staff? Service Hours: Monday to Friday 8:30 to 13:00 and from 14:30 to 18:00 hrs.